Joachim married Anna, a most excellent and praiseworthy woman. Once there had lived another Anna who overcame physical sterility through prayer and a promise to God, and then gave birth to Samuel. 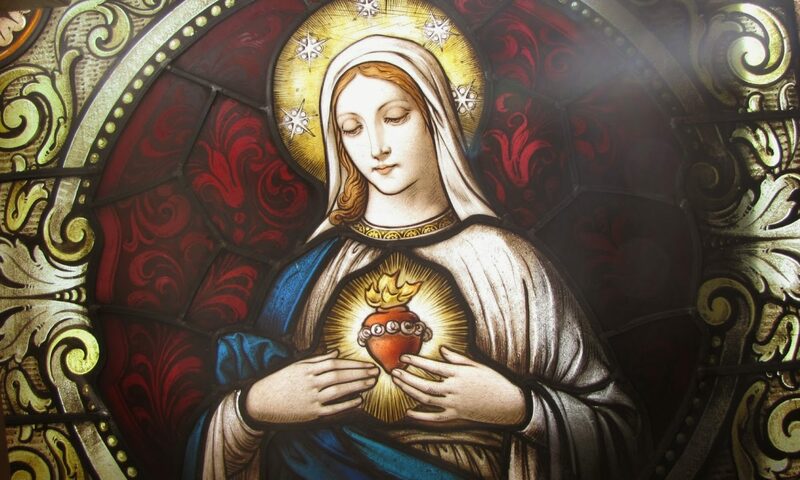 In a similar way, our Anne received from God the Mother of God through a vow and heartfelt petition; for she would not yield in any way to the illustrious women of previous ages. Accordingly grace (for the word Anne means grace) gave birth to the Lady (this is signified by the name Mary). Truly Mary became the Lady above all creation in her role as the Mother of the Creator. 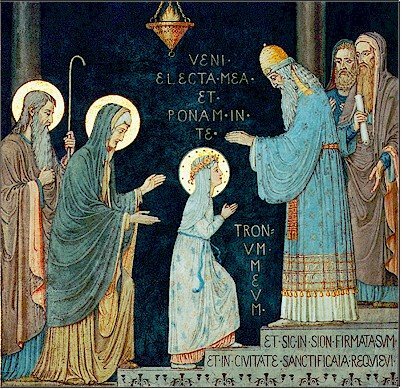 She was born in Joachim’s house near the Probatica, and was presented in the temple. Thereupon “planted in the house of God” had nurtured by His Spirit; like a fruitful olive tree she flowered forth in every virtue. From her mind she drove every worldly or sensual desire; she preserved virginity of soul as well as of body, as was becoming to one destined to carry God in her very bosom. It’s Alexia, i have heard about how sick you are and I have been wondering if you are doing okay. How are you feeling? All of us miss you. We hope you get better. You are in our prayers. God bless.